There was a certain symmetry about finishing our trip in Delhi, and we were a lot better prepared for what must be one of the craziest cities on the planet. We flew back on the Thursday morning and I was really keen to listen to the qawwali singing at Hazrat Nizam-ud-din Aulia that evening. At no point in the entire trip did I learn to ignore the recommendations of the Lonely Planet. I don’t know where we ended up but there certainly wasn’t any singing going on in the dark, crowded back alleys that we found ourselves in at dusk! 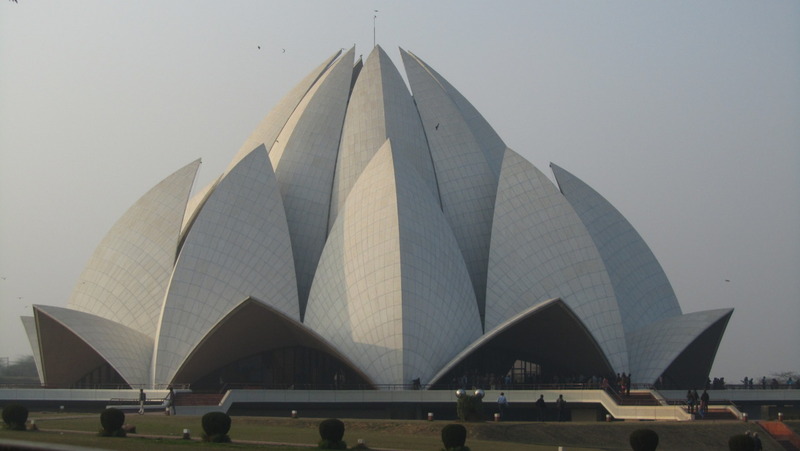 One of my recommendations is to visit the Lotus Temple – a little bit out of the way – but a worthwhile train ride. It’s a Bahá’í House of Worship and is totally out of sync with the rest of the city. In a good way. Along with the Gandhi’s Smitri it was one of the most peaceful places we found. A few moments’ quiet is a sacred thing indeed in Delhi.